Discover solutions and cutting-edge topics in educational leadership. AASA and Rowman & Littlefield have been co-publishing cutting-edge books for today's school administrators for more than 15 years. AASA Members get a 20% discount. Request the discount code here. Aspiring, new and old superintendents all want to have the BEST school facilities that are possible. 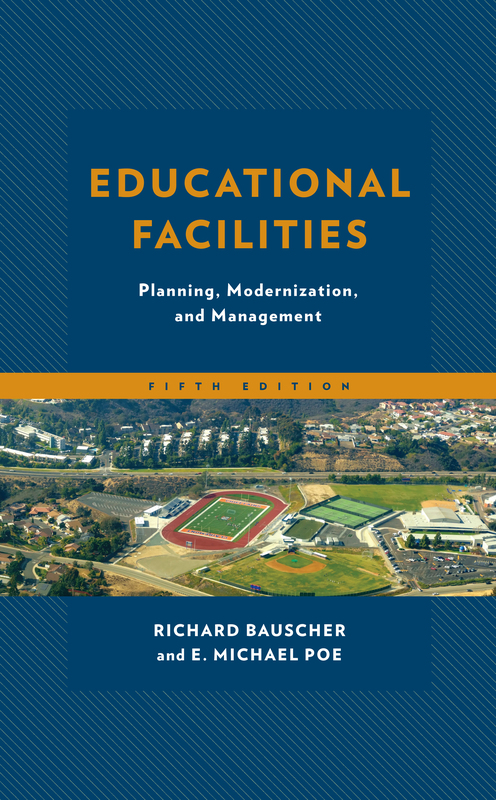 This fifth edition is the most comprehensive and up-to-date book on the market today in the planning of educational facilities. A full chapter is devoted to school bond referendums, along with a ten step proven process that has helped one of the authors achieve a 90+% passage rate with a yes vote average of 74%. This text is a must for all University educational leadership programs as well as a great resource for Superintendents, Facility Directors, and School Business Managers. 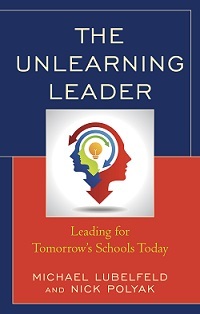 The Unlearning Leader is about how today’s leaders need to connect for success. The premise of this book is that we all need to unlearn. In order to change and prepare for tomorrow, the authors submit that much of what leaders have learned must be unlearned as we aim to create a new tomorrow for our nation’s children. This CHOICE award-winning author has teamed up with national school district experts to write a comprehensive book on the role of the superintendent as an instructional leader. 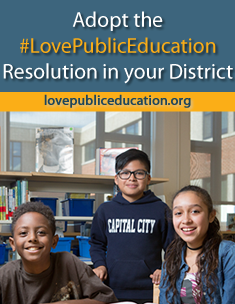 Everything you need to know about superintendent core competencies, instructional leadership, policy and politics, professional development, accountability and evaluation, standards, building capacity, managing finances and resources, and creating an environment for professional growth are covered. 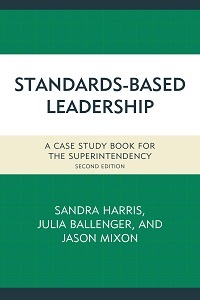 Standards-Based Leadership is written specifically for superintendents and is framed within the most recent national standards: Professional Standards for Educational Leaders 2015. The cases provide an opportunity for superintendents as well as those in training, to critically reflect on best-practices with real scenarios. Principals, superintendents, teacher leaders, and other school leaders experience considerable stress in this day of accountability and high visibility. This book address that stress level and helps school leaders learn the why, what, and how of mindfulness practice. It also helps to show how to reduce stress through mindfulness, demonstrates how mindfulness is related with effective leadership practice, and reinforces the qualities that equate with leadership legacy. The importance of positive board/superintendent relationships cannot be understated. The need to balance competing political pressures to create the best possible learning opportunities for students is ever present. Most importantly, board/superintendent relationships should be cultivated with openness and transparency among each other and the public. AASA Members get a 20% discount. Requested the discount code here. 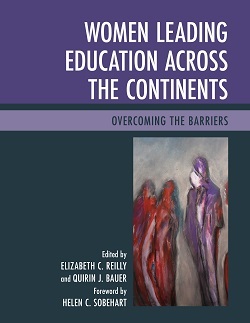 Women Leading Education Across the Continents—Overcoming the Barriers is the third collection of research about and stories of women leading education on every continent in the world. Internationally recognized scholars and practitioners offer a research-based conversation and systematic collaborative inquiry in exploring the status of women in educational leadership. Their work invites global policy development highlighting women's educational leadership as a critical social justice issue. The Board and Superintendent Handbook: Current Issues and Resources is a practical guide for both board members and superintendents. 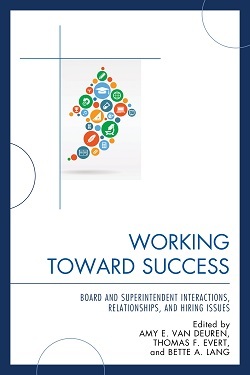 The book includes contributions from experienced and new superintendents and board members on a wide range of topics that boards and superintendents must navigate together successfully in order to move districts in a positive direction for students, staff, parents, and communities. 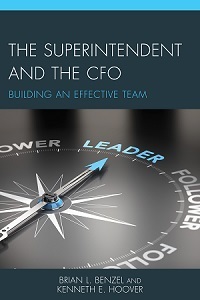 Building a strong relationship with the CFO is essential for superintendents seeking to build sustainable educational programs for all students. Benzel and Hoover use their CFO and superintendent experience to identify what future leaders in both roles need to know and be able to do with respect to fiscal leadership and improved student learning. Although administrators have many responsibilities, none is more critical to the school, student, and their personal success than the hiring, supervising, and evaluating teachers. The research evidence is clear. Excellent teachers make the difference in how well students achieve and how much schools improve. 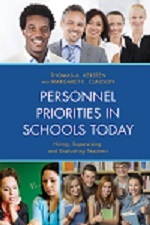 Personnel Priorities in Schools Today: Hiring, Supervising, and Evaluating Teachers, explores how to hire the best teachers available. Cyberbullying in social media is one of the most important concerns in educational institutions at the K-12 and higher education levels today. Cyberbullying is complicated because it involves children, parents, and other family members as well as society at-large. It hurts the victim, the cyberbully, their families, their friends, others at and beyond the school, and our American society in countless direct and indirect ways — educationally, emotionally, mentally, physically, socially, and in some cases it takes the victim’s life away. Sometimes the results of cyberbullying are intentional, other times the results are unintended. This book presents the information from the collaborative efforts and perspectives of a current school district superintendent who has researched and worked day-to-day with the issues, and an attorney currently dealing with the legal issues relevant to cyberbullying. This book is helpful to students, parents, educators, mental and medical health professionals, and attorneys who work with the misery, fears, terror and other consequences of cyberbullying in social media. This book explains how the mismatch between function and form is creating circumstances that are putting the future of public education at risk, leading to system dysfunction, deregulation, and privatization. Public education needs to be redesigned and reformatted to match the function of the age in which we now live. The current structure and function denies too many students the levels of access, equity, and opportunity that their parents once enjoyed. Achieving that outcome is important to the economic, social, and political well being of America. This book is based on the professional experiences and research findings of Drs. Litchka, Polka, and Calzi who possess a combined total professional experience of over 100 years as educators in the United States, including over 75 years as public school administrators and over 30 years as chief school officers. The authors have also spent a combined 30 plus years in researching and roles, responsibilities, and stresses of school district leadership. They are committed to appropriately preparing current and aspiring leaders to survive and thrive as superintendents. Why School Communication Matters is an easy-to-use reference for the communication dilemmas that superintendents, principals, and other school leaders face today as they lead faculty and staff, parents and students, neighbors and community leaders. This newly revised edition incorporates the monumental technological changes, including social media that are reframing the way we think and work. The book deals with real life challenges and offers practicable solutions. 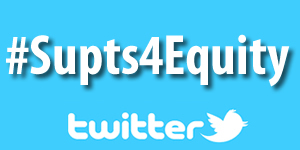 Superintendents hold a significant position in school systems. In serving the school board, community, staff and students simultaneously, a superintendent’s role is dynamic and multifaceted. In realizing that the stability of a school system is set by the guidance of the superintendent, the need to attract quality personnel is apparent. This book consists of timely, field-tested and practical content for both school and district administrative leaders. This leadership development resource book contains a blend of how-to’s, innovative practice, suggestions for training and self-growth, and a healthy dose of inspiration for leaders. The author’s objective is for the reader to realize a more complete understanding of what techniques leaders might consider and apply to enhance their leadership effectiveness. Enlightened Leadership is a great resource for leaders who wish to create and support organizations that are both forward-moving and success-oriented in this most challenging of times. Dr. Hoff is a former award-winning school principal and assistant superintendent of instruction. He is an internationally acclaimed staff and leadership developer. 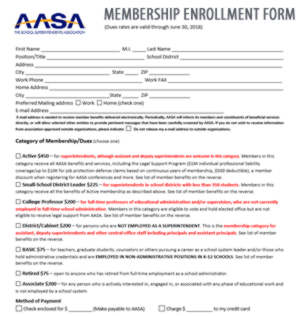 AASA Members get a 30% off the $39.95 cover price. Request the special discount. This new book is both a powerful addition to the K-12 governance literature and a practical guidebook for school board members, superintendents, and senior administrators. Opening with a crystal-clear, eminently practical definition of the work of governing that goes well-beyond the outdated notion of “policy making,” this exciting new book then takes a close look at the key elements involved in building the kind of rock-solid board-superintendent governing partnership that these changing, challenging times demand. After describing the critical role of a “board-savvy” superintendent in the governing partnership, Doug examines in detail how board-superintendent teams can go about developing the board’s governing “architecture” (the board’s governing role, its members, and its committee structure), mapping out processes for active board member engagement in governing work, and keeping the board-superintendent working relationship healthy. Education leaders need to be visionary in order to meet the changing needs of the 21st century student. This award winning book presents a new paradigm that represents the needs of our 21st century society and our children – their emotional, psychological, and physical well-being needs. Emerging best practices that will support this new 21st century model include: personalized learning, self across the curriculum (SAC), the Integrated Self or iSelf model, competency-based real-world learning, and integration of mental health with schooling practice partnerships, among others. Noted educator and thought leader Brzycki inspires hope for impacting the tragic mental and physical well-being issues so prominent and troubling in our time. He offers a breakthrough model for transforming people’s lives, counseling best practices, teaching and learning best practices, and our society. AASA Members get a 20% discount off the $34.95 cover price. Bulk purchases of 10 or more copies will be available to AASA Members at a 45% discount. Request the special discount code here.E-books are also available. AASA members get a 25% discount. Request the discount code here. 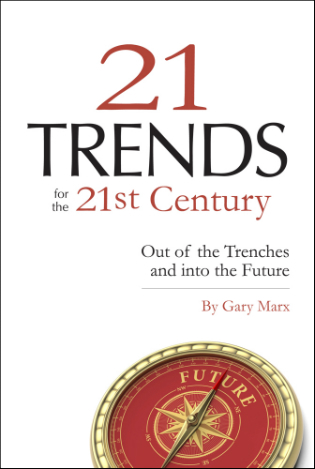 Noted futurist and scholar Gary Marx gets to the root of the forces reshaping society today. Whether it’s shifting demographics, emerging technologies, environmental challenges, or innovations in the way we learn and lead, the world is changing faster and more dramatically now than at any time in history. 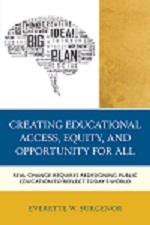 This go-to guide offers a detailed framework to anticipate and understand the most pressing challenges in education. Here’s everything you need to know to begin building a social media platform that nurtures relationships and garners support from your key stakeholders, including step-by-step instructions on how to use three of today's most popular tools for social media: Twitter, Facebook, and blogs. Written by two school communication veterans, this book focuses on the why as well as the how of effective school-community communication in today’s world. Seasoned educators share their expertise in a wide range of important subjects that collectively promote an understanding of how to transform special education programs and service delivery in public school settings. The authors cover a variety of useful topics in special education, ranging from finances, monitoring the assignment of paraprofessionals, and transportation, to legal considerations and methods of promoting parent engagement. 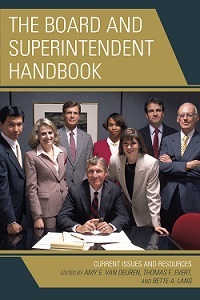 This book provides novice superintendents with the knowledge and skills needed to succeed in their new roles. Thomas Kersten, a highly experienced school administrator, shares the most practical and useful strategies that will help new superintendents optimize their early successes. 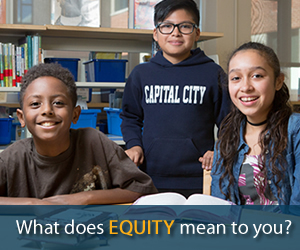 Using Response to Intervention as an innovative model, An Agenda for Equity analyzes the ability of recent educational reforms for increasing enduring, equitable effectiveness and improving conditions for teaching and learning for both teachers and students. Shaping Social Justice Leadership: Insights of Women Educators Worldwide contains evocative portraits of twenty-three women educators and leaders from around the world whose actions are shaping social justice leadership. Each carefully crafted portrait highlights an aspect of a chapter theme, followed by practical insights. The chapters develop a range of cultural comparisons, illustrate imperatives for social justice leadership, and examine values, skills, resilience, leadership pathways and actions. The authors find that clinical practice identifies the root causes rather than the symptoms of problems, focusing valuable time, resource, and energy on prescriptions with greater promise for improved performance health. The concepts of diagnosis, prescription, and prognosis establish a foundation for improved planning and problem solving. This book introduces practicing leaders and leaders-in-training to the protocols of clinical practice. Want to write for AASA? If you have an idea for a book, or you are working on a book manuscript, AASA wants to hear from you! See the AASA Book Proposal Guidelines. Join the AASA Publications Review Board! 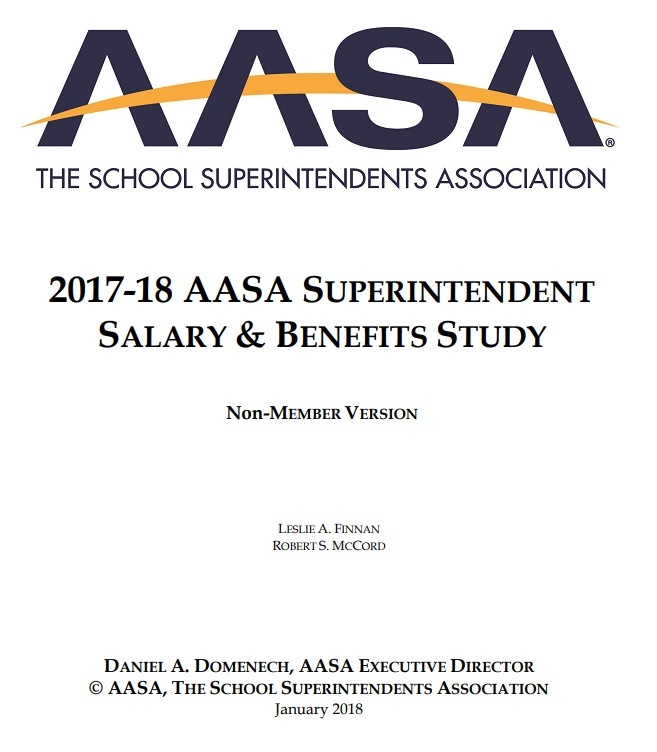 As a member of the Board, you will evaluate book proposals and manuscripts submitted to AASA for possible publication. Questions? 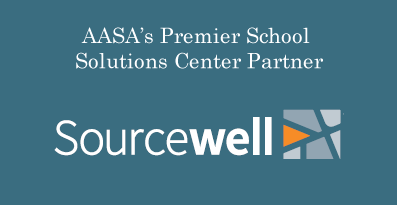 Contact James Minichello, communications & media relations, 703-875-0723, jminichello@aasa.org. Amazon.com - Books and other items purchased on Amazon.com through AASA’s website generate a rebate for AASA. 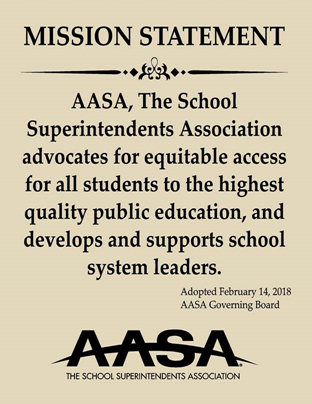 This small gesture provides additional revenue to AASA and is appreciated.